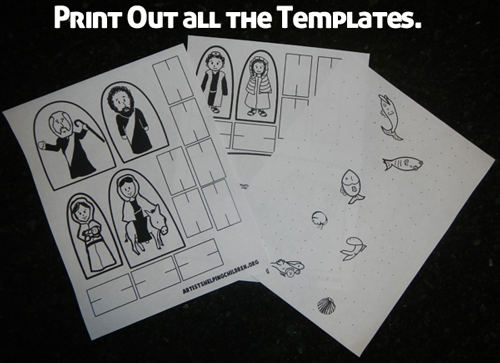 Click Below on Each of the template images. 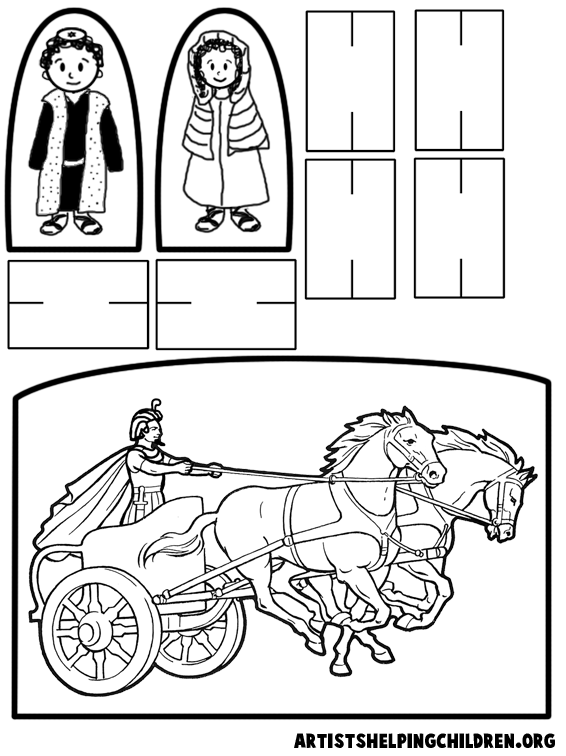 These images will open up as a larger image. 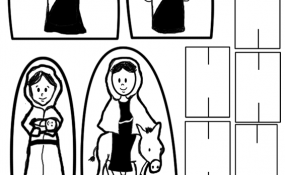 Then save these images to your computer and then print them. 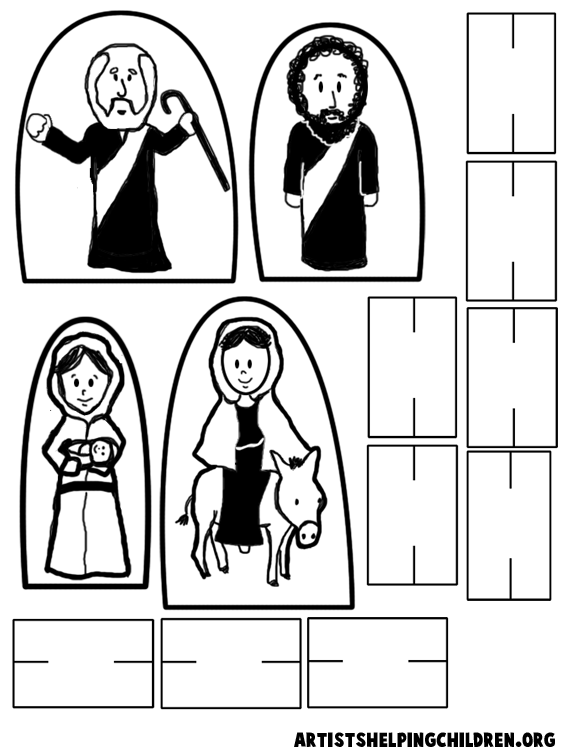 Print out the 3 templates that you see above. 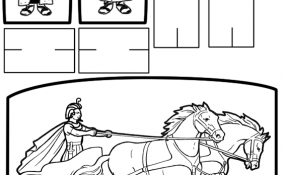 Cut out all the people, the chariot, and the stands. Cut 2 slits in each stand. 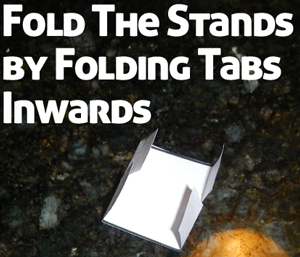 Fold the stands by folding the tabs inwards. 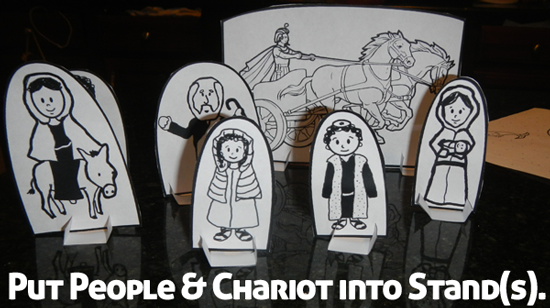 Now put all of the people and the chariot into the slits that are in the stands. 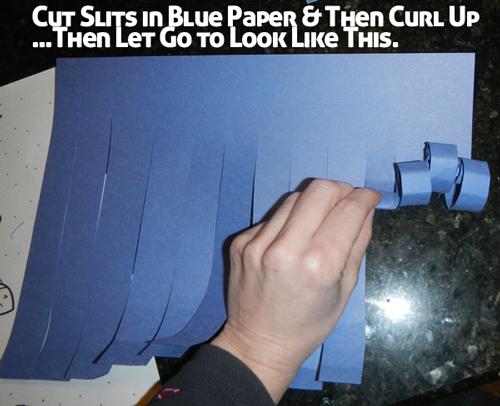 Get 2 blue sheets of paper. 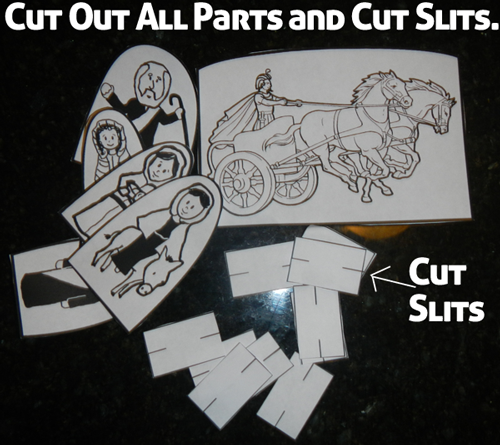 Cut lots of slits in the blue paper. Then curls them up and let go. The curls should look something like in the picture above. 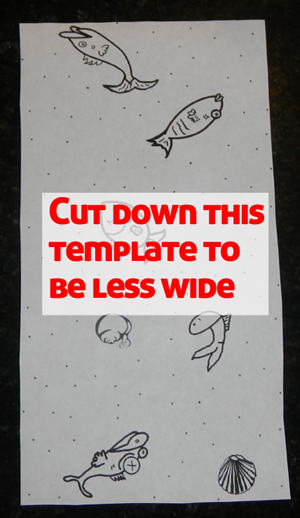 Cut down the fish template to be less wide. 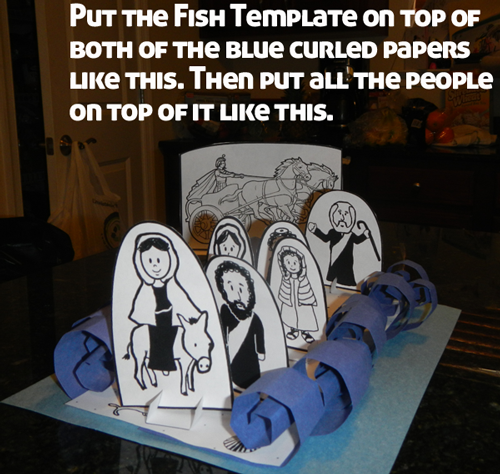 Now put the fish template page on top of both of the blue pieces of paper. 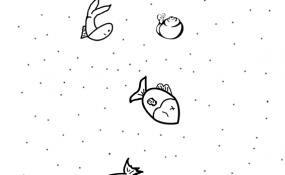 The waves (curls) should be above the fish page so it looks like waves are on either side of the open sea floor. 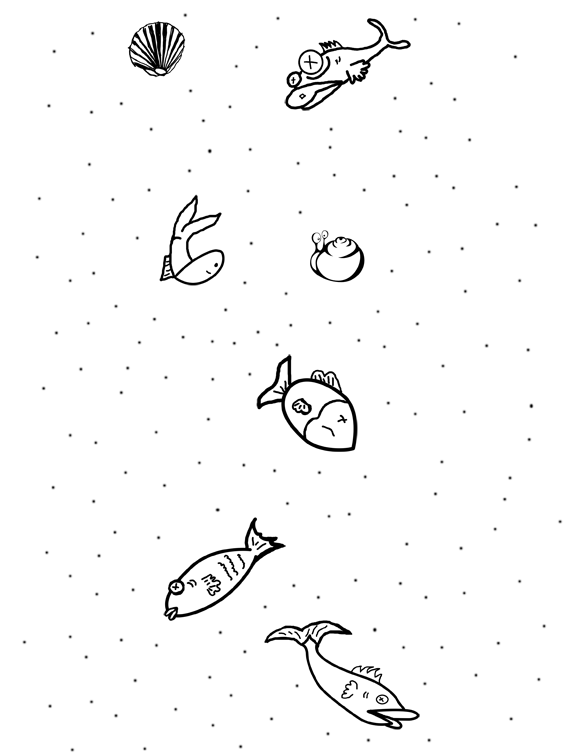 Place all the people on top of the sea floor. Moses should be in the back as he is letting all of the freed slaves go before him. Behind Moses is the Egyptian chariot. 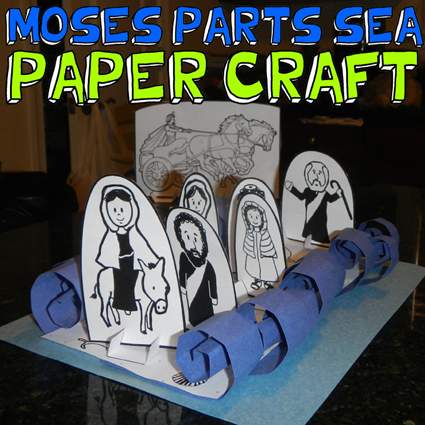 If you are using this craft to celebrate Passover, then happy Passover!